I actually hosted my daughter’s 4th birthday party at the Broadway location. It was darling. There was bowling, karaoke, arcade and pinball games and skee ball, more for the dads, darts too, photo booth, cotton candy machine, you get the idea, there’s kid entertainment everywhere. I had ordered off the kids menu for a brunch bar, and the party was awesome. We were thrilled to be invited back to try their new kid’s menu. We opted for the Banana Almond Butter Sandwich, the Black Eyed Pea Hummus and the Chocolate Chip Malted Waffle. Again, there wasn’t a bite that wasn’t spoken for. 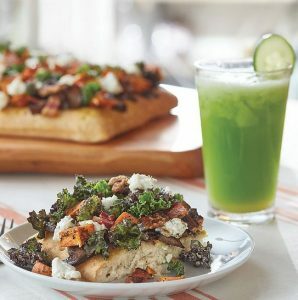 These creative twists on familiar childhood favorites, are not only popular for the next generation, they’re sweet and savory and perfect for adults who always take from their child’s plate. Olive & Finch on East 17th Ave. in the City Park neighborhood has always been a go-to for the kids and I. It’s a pretty small space, and it’s packed with so much goodness. I was such a good customer, the darling Chef/Owner Mary Nguyen even saw me while I was picking up Dora’s favorite food while she was in the hospital, and rewarded the little asthmatic some of her incredible desserts. Mary is unbelievable and has two young girls of her own. birthday last October, since my husband and kids couldn’t be pulled away from the World Series Cubs that evening. Here’s why this is a go-to for our family and when we have visitors in town. It’s got the city vibe, open air seating on a patio that is used nearly year-round, beer, wine, coffee and a great menu. My little ones usually get one of two things. Dora has her go-to mac and cheese, but will happily change it up with the crispy fried tofu and mashed potatoes that comes with fruit. There’s a nice size grilled chicken and grilled steak on the kids menu as well and desserts to tempt anyone. Some of my favorites, the smoked chicken pastrami and Asian Chop with tofu. 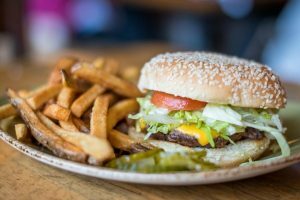 Cherry Creek Food Notes for Families . . .
Ready to splurge and indulge in Cherry Creek’s newest hotel and eatery? Departure Restaurant + Lounge invites friends, families, and foodies from all over Denver to experience the restaurant’s new “Family Meal” dinner menu available Sunday through Tuesday nights from 5 to 10 pm. Families of three or more can enjoy a multi-course, family-style dinner created by Culinary Director Gregory Gourdet for $45 per person. The menu, which will change slightly each week, features a selection of Gourdet’s modern Asian dishes and desserts created by Pastry Sous Chef Erin Koroll. Departure’s Family Meal Sample Menu might include power greens, spicy tuna roll, Departure wings, skirt steak skewer, chili prawns, garlic fried rice, coconut custard and dark chocolate bar. 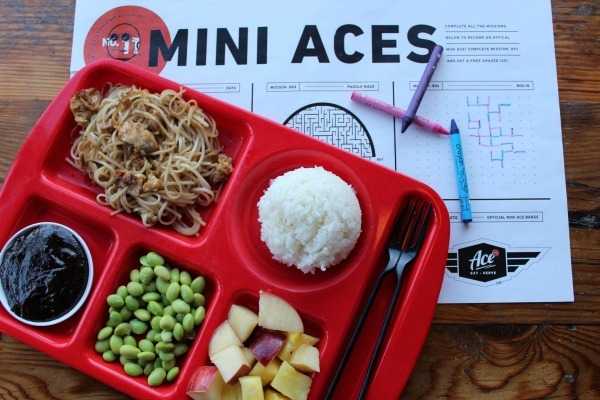 The menu is sophisticated, scrumptious and what kid doesn’t go crazy for fried rice or savory proteins. Other Favorites from Local Families . . . I posted on our family school’s Facebook page, and here are some other recommendations from Steck Families. BUT I DON’T WANNA LEAVE THE HOUSE . . .
No problem. We got you covered. Sometimes takeout, delivery, specialty services and the genius behind instacart are better than going out to dinner. What are some hot new trends . 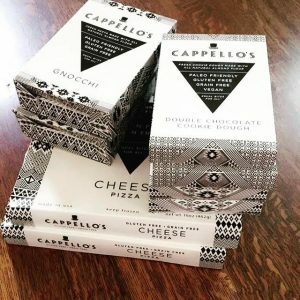 . .
Cappello’s recently delivered an impressive package that I had to sneak into even before the kids came home from school. If anyone in the family is gluten-free, grain-free, or in search of paleo-friendly items, this Colorado-based gourmet food company can deliver to your door. Options include frozen, ready-bake pasta, pizza, and cookie dough. 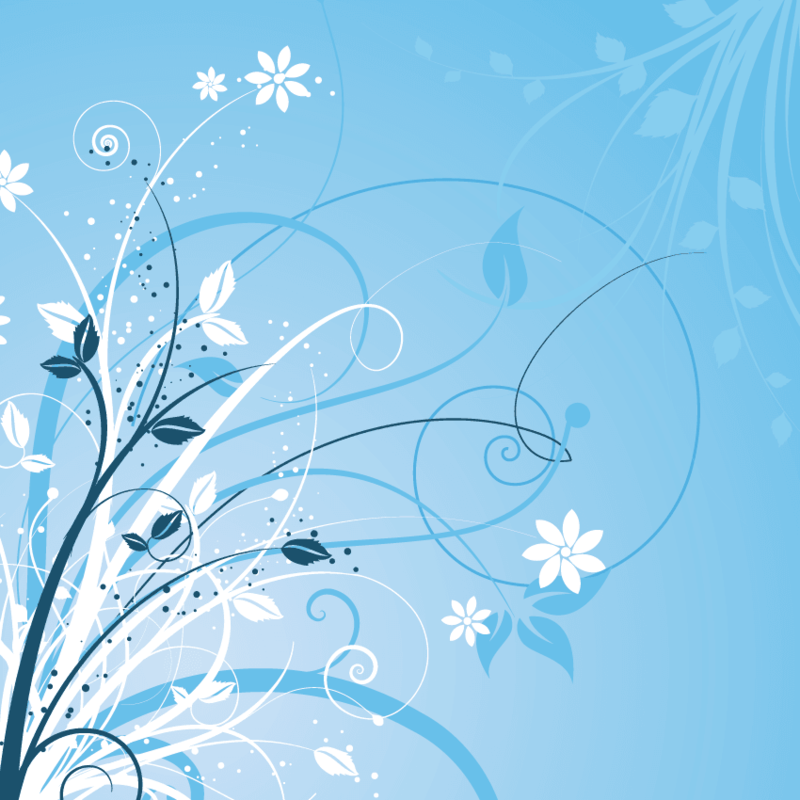 The brand can be found throughout most grocery stores such as King Soopers, Whole foods, Natural Grocers and many more, the best part is, you can order online and they deliver in dry ice to ensure items are kept frozen. Busy families who need gluten-free, dairy-free and food-allergy friendly options will love The Gluten Escape® in Centennial. 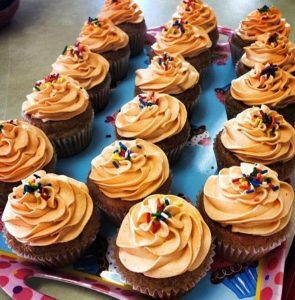 The unique bakery is a dedicated gluten, dairy, soy protein and peanut free facility with 85% of products also being egg free. Owner Kathy Letson has developed a custom flour blend that is available for easy pick up at the bakery so families can bake at home. Kathy says successful gluten-free baking is all about the texture and she avoids using gritty white rice flour that has no nutritional value. Instead, her team blends 6 different flours that serve as a cup-for-cup substitute in any recipe and allows home bakers to control the texture with simple xantham gum additions. For an added treat, try Kathy’s chocolate cake recipe on the bag. So, I haven’t been to any of these, thereby proving I have some work to do. What a yummy list! We’re already fans of Olive and Finch and Punchbowl. So ncie to have restaurants that are kid friendly that adults like too. This just makes me hungry. Gotta do something about it, I guess.